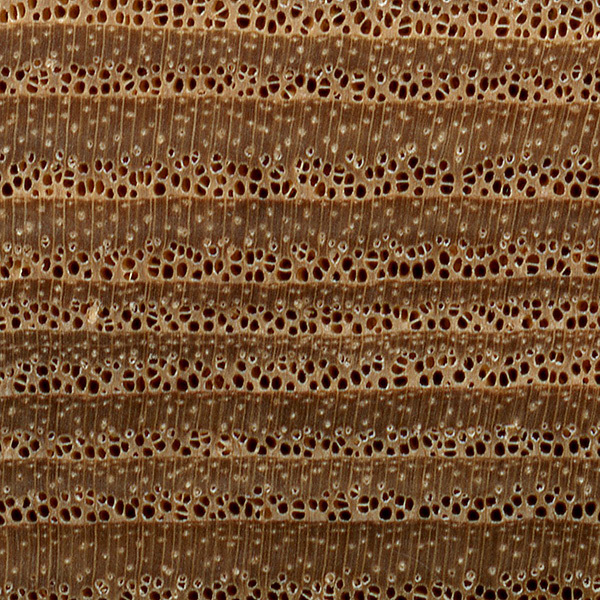 Endgrain: Ring-porous; large earlywood pores 2-4 rows wide, small latewood pores solitary and radial multiples; tyloses common; parenchyma banded (marginal), parenchyma around latewood pores less common in Black Ash, but may be vasicentric, winged and confluent; narrow rays, spacing normal. Odor: Gives off a distinct, moderately unpleasant smell when being worked. 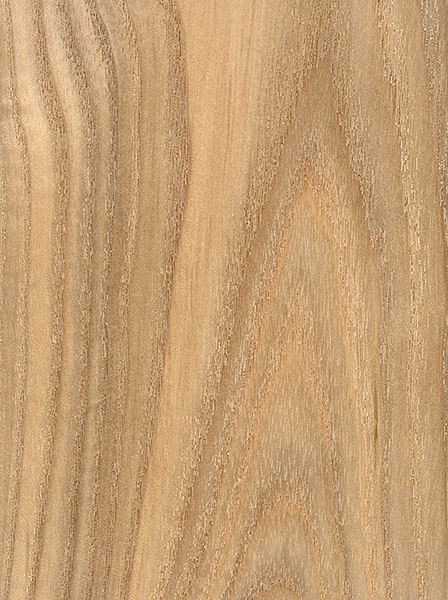 Allergies/Toxicity: Ash in the Fraxinus genus has been reported to cause skin irritation, and a decrease in lung function. See the articles Wood Allergies and Toxicity and Wood Dust Safety for more information. 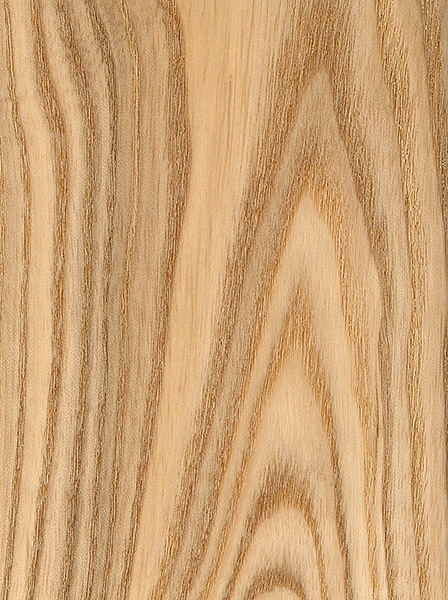 Pricing/Availability: Ash is among the least expensive utility hardwoods available domestically; it should compare similarly to oak in terms of price. Comments: The emerald ash borer (Agrilus planipennis), believed to have been inadvertently introduced from Asia sometime in the 1990s, was first detected in Michigan in 2002. 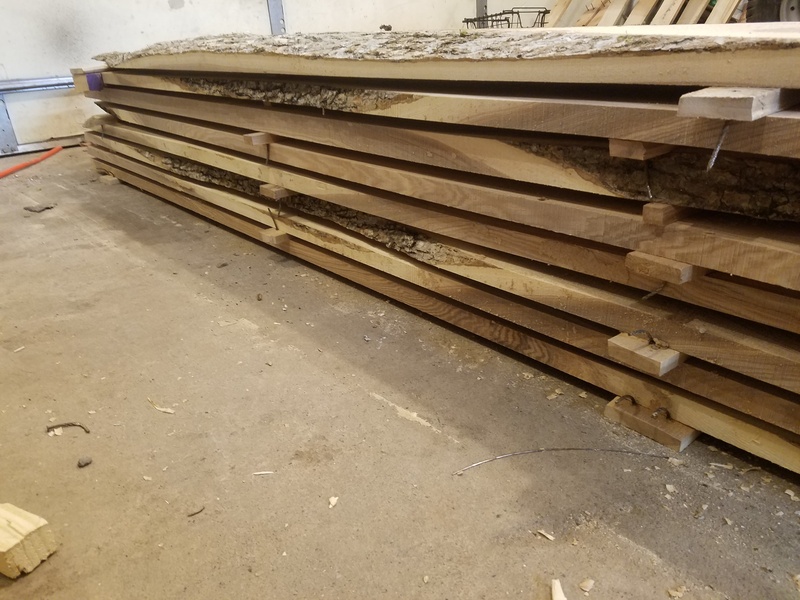 Lacking natural predators, uncontrolled populations of this invasive species spread very rapidly throughout North America, devastating local populations of ash trees. The beetles’ larvae bore into a tree and feed on the inner bark, eventually killing the entire tree. The insects are responsible for the deaths of hundreds of millions of ash trees across the United States and Canada. Green Ash and Black Ash trees are preferentially attacked by the insects, followed by White Ash and Blue Ash. Black Ash is commonly used in basket weaving. 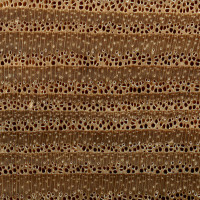 The endgrain of the wood is pounded with a mallet—collapsing the weaker earlywood, and liberating the latewood to be peeled off in strips. The strips are subsequently collected and woven into baskets. When stained, ash can look very similar to oak (Quercus spp. 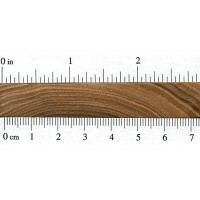 ), although oaks have much wider rays, which are visible on all wood surfaces—even on flatsawn surfaces, where they appear as short, thin brown lines between the growth rings. Ashes lack these conspicuous rays. Minnesota is a good source if you look on craigslist. Where can I get some quartered Black Ash? I am a guitar builder and have been all over the web. I’ve still not found any usable for Acoustic guitars. 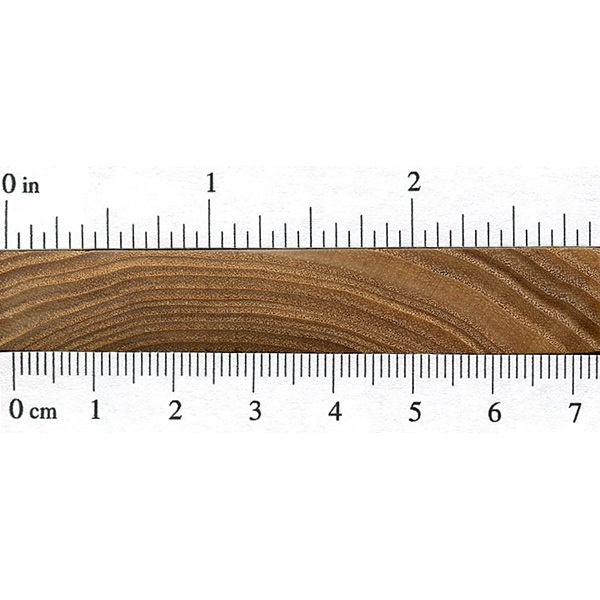 I need at least 34″ by 8.5″ and 5/4.